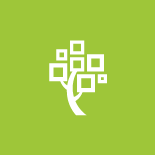 FamilySearch frequently makes improvements to what they offer. Every year, they put together a blog with details about what to look forward to at FamilySearch in the new year. FamilySearch plans to play a major role in creating millions of new, fun family discoveries and online connections. The most obvious thing to look for in FamilySearch in 2017 is the personalized dashboard. It is available right now and will greet FamilySearch users when they log into the FamilySearch website. The personalized dashboard will be customized with interesting and relevant activity feeds, notifications, and suggestions. It will automatically send you more content throughout the year. Ancestor Hints – Keep checking the Ancestor Hints as the year goes on. FamilySearch will continue to add millions of historical records each week. The FamilySearch search engine maps them against your Family Tree. When it finds a record that has a high probability of matching with one of your ancestors, it will send you a “hint”. Recent Ancestors – The new dashboard will automatically keep track of the ancestors that you are researching each time you use FamilySearch. It will create a list for you that will make it easy to remember where you left off. You can quickly pick up from there the next time you use FamilySearch. Another new thing to expect from FamilySearch in 2017 includes new indexing tools. Indexing is a web-based tool that FamilySearch volunteers use to digitize historical records and make them searchable online. In 2017, FamilySearch is innovating its indexing tool. It will enable more rapid completion of tasks, improved help, and automated indexing for obituary record sets. There are digitization projects already underway that will continue in 2017. Over 330 FamilySearch digital camera teams worldwide will digitally preserve 125-150 million historical records in 2017 for free online access. In addition, another 200 million images will be added to FamilySearch from FamilySearch’s microfilm conversion project. This project uses 25 specialized machines to convert its vast microfilm collection at Granite Mountain Records Vault for online access. FamilySearch’s online community of volunteer indexers will spend 2017 creating searchable name indexes to two major United States collections. Those collections include marriage records and immigration records. The collection of immigration records includes passenger lists, border crossings, and naturalization petitions.